Welcome to the first newsletter from Denmark in 2013. I hope You will forgive, that we also have taken a bit of news from the autumn 2012. 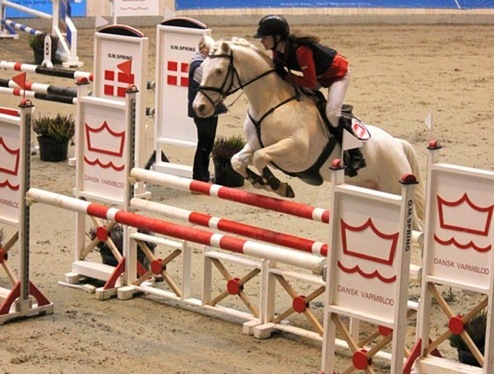 One Danish pony really placed Denmark on the map – Banks Vanilla by Tegstrups Duke x Banks Squares Do-Do bred by Jytte og Peter Bank-Mikkelsen and owned by Noel Noonan, Manor Connemara Ponies, Irland. She wan NPS/Baileys Horse feeds M&M Ridden Pony section and became “the M&M Ridden Pony of the Year” in the class for New Forest / Connemara at The Horse of the Year Show (HOYS) 2012. 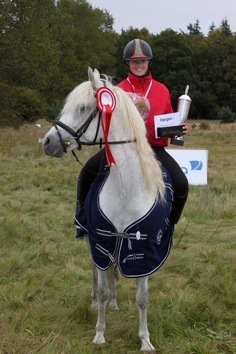 Banks Vanilla, ridden by Sam Roberts, was also rewarded with “Tagg La Liga Award” in their class M&M Ridden New Forest / Connemara. Banks Vanilla, was following selected to participate at Olympia. With the rider Hannah Horton, they became 6th in a strong M&M ridden class with 40 competitors and ended up with the title “Best of Breed ‘ in the Connemara section at Olympia 2012. The 2½ year old colt Hesselbjerggård Jaronimo by Hohnhorst Jaro x Pilgaards Maybie, bred by Karen Louise Jørgensen, Hesselbjerggård Stud farm, went in the summer to May og Holger Reimann, Hohnhorst Stud farm, Germany. 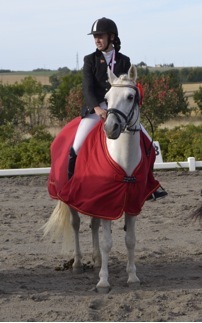 Jaronimo participated in october in the stallioninspection in Verden and achieved Class 1. 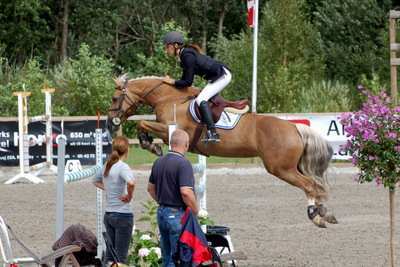 The Connemarapony show in Finland 2012 was wonn by the 22 y.o. Aramara Eliza. Eliza have realtionship to Denmark. 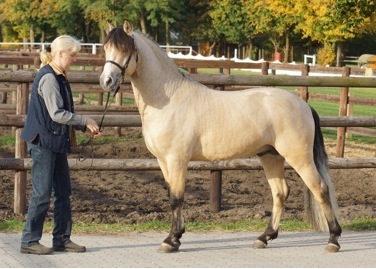 Her father Ardnasillagh O’Flaherty was sold from Denmark to Finland and her mother is the Danish born mare Pilgårds Camilla (Padraigh of Rosenaharley x Kærvangs Candie). 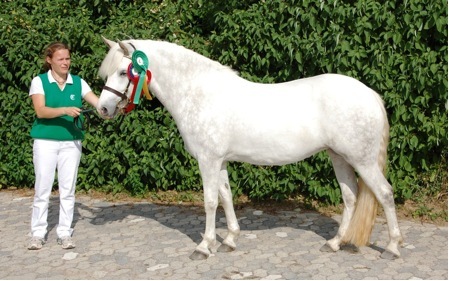 Amarara Eliza got several titles that day; Best mare – Best pony born in Finland – Supreme Champion in hand and Reserve ridden Champion. Really great of a pony, who, the year before, was very ill and only acute operation saved her life. 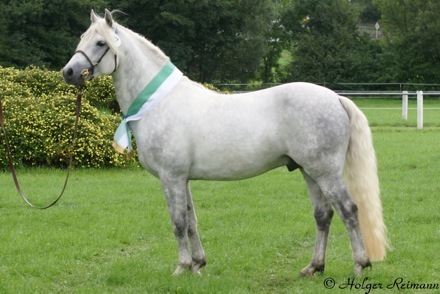 Danish born stallion to Ireland 2013. We are proud, that one more Danish stallion have taken the journey to Ireland; AC-Samson af Engvang by Skousboe Morning Rock x AC-Soft Jewel af Engvang (Øxenholm Godot x Øxenholm Sleepy Eyes). Samson is bred by Anette Schou-Lund, AC-Engvang Stud farm, Bornholm and owned by May and Holger Reimann, Hohnhorst stud farm, Germany. Now he is staying by the Bourke family, Abbeyside Stud farm, Claremorris. The Reimann family bought Samson as a youngster. Later – at the inspection – he achieved Class 1 and has also passed his performancetest. Samson has also been in France for a year. 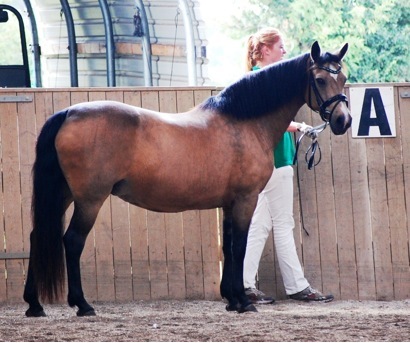 Lene og Asger Larsen, Teglstrup stud farm, Vålse, had to put down their 27 year old stallion Teglstrup Duke. Teglstrup Duke (Øxenholm Marble Jr x Red Baroness (Island King)) won the foalclass in 1986. In 1990 he achieved final inspection and the same year he got the title Reserve Best in Show on Bornholm. Duke had 2 son’s who achieved final inspection Danmark; Baunely Dipper og Skousboe Hero plus one in Ireland; Banks Timber. 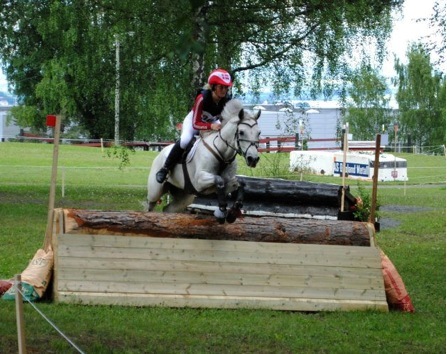 Baunely Dipper is now owned in Germany and Skousboe Hero passed away in 2012. 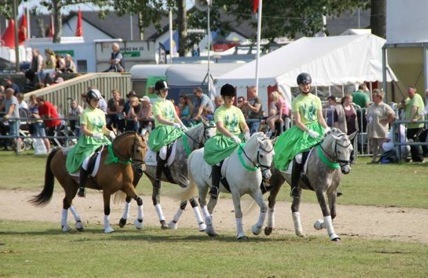 The Events Calendar recently received from Denmark shows that an Inspection program and Pony Show will be held on Bornholm on 2nd August 2013. A similar event will be held on Zealand on 3 – 4th August. 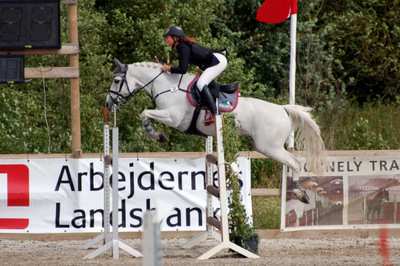 Besides Regional Jutland and Regional Zealand, have other events programmed such as Riding, Quality Judgement and Studies of pedigree and Stud Books. In all of these areas, there are several Agricultural Shows featuring Connemara ponies. If you are in the areas mentioned, perhaps a day visit to one of the shows will see quality Connemaras competing and displaying their quality performance qualities. A quick E-Mail to the Danish secretary will clarify areas, places and times! For those visiting Great Britain in the coming Spring and summer, a visit to one of the below mentioned areas could enable you to see some of the finest Connemara Ponies in Britain and in fact, elsewhere, competing and displaying their excellent Performance qualities. Monday 1st April – Scottish Connemara Group Dressage competition. Sunday 7th April – Judges assessment and probation filly Inspection assessment day. Wednesday 24 April – BCPS Colt Inspection Ivy House Skelton Wood End Penrith Cumbria. Thursday 9th May – Colt Inspection Norton Heath Equestrian Centre Blackmore. Sunday 30th June – North East Connemara Group Show , Northumberland College Kirkley Hall Ponteland Northumberland. Saturday 13th July, Eastern Connemara Group Eventer trials, show jumping and Dressage, Horseshoe Farm Dereham. 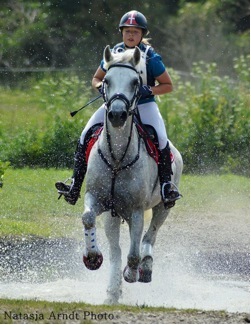 Followed on 31st August with a Novice One day Event and Dressage Competition. 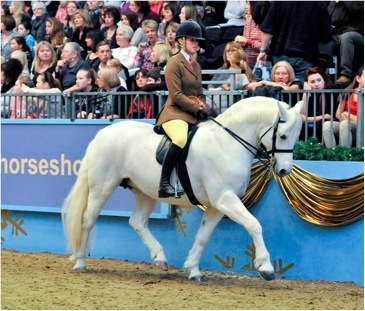 Sunday 20/21st July – BCPS Ridden and In Hand Breed show, Warwickshire Agricultural College Moreton Morrell. Sunday 28th July – BCPS Northern Show, Osbaldeston Equestrian centre Blackburn Lancashire. This is just a few of the Connemara Pony events throughout Britain during the Spring and Summer, Contact with the secretary will give a full list of events and venues. Filly Inspections this year will be organised by a co-ordinator from each region. Colt Inspection for 2013 will be held in three venues – 24th April Ivy House Skelton, Friday 26th April Stretcholt Farm, Stretcholt, Somerset – Thursday 9th May Norton heath Equestrian centre Blackmore. As in many other areas of the world, Nature has been most unkind to those residing below the line. Extreme flooding in the eastern States, not once but to the present time, three times with widespread damage and loss of life has occurred. In other areas huge bush fires have caused massive devastation. It is pleasing to say that there has been no reports of loss of Connemara ponies in this extremely wide spread devastation. 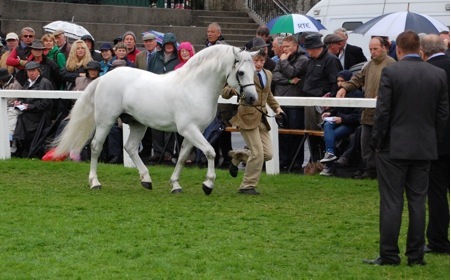 It is therefore reasonable to indicate that there have been few shows held where the Connemara Pony could be seen to be giving their usual high performance displays. The Connemara pony Show case, a somewhat spectacular even in the Connemara world down under, was again seen at Werribee, Victoria in last September. 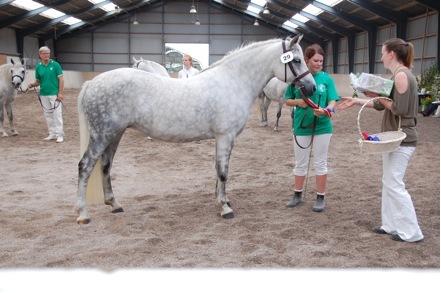 Ponies were presented from Victoria, New South Wales and South Australia. 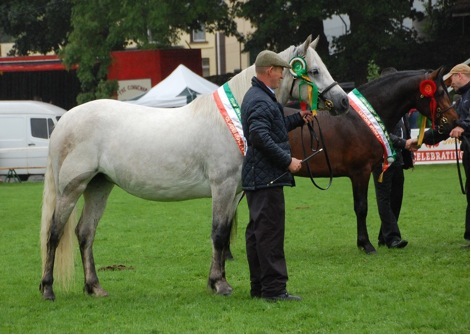 An Irish Judge found quality ponies in all sections and awards went to all areas. It is believed that this show will not be available next year due to cost factors, distances needed to be travelled etc. This is indeed a shame as in its two years of showing the Connemara pony, wide applause has been given to those who worked hard in its performance. As well as “In hand” classes Dressage, working Hunter, ridden and show jumping events were held. 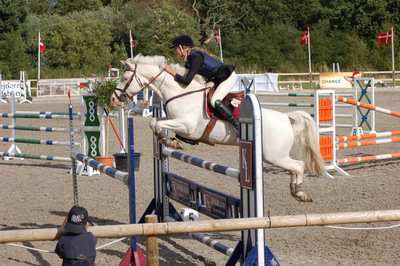 In those areas where Shows could be held the Connemara pony excelled as always. 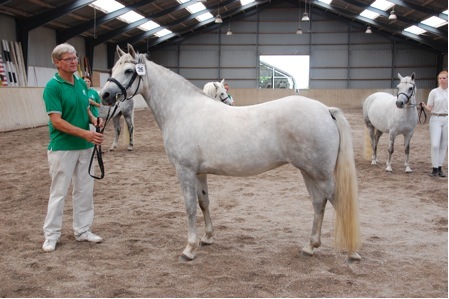 2013 Melbourne Show saw Gracefield Park Mr. Ed crowned as the top led Connemara Pony. “Gracefield Park Mr. Ed”. 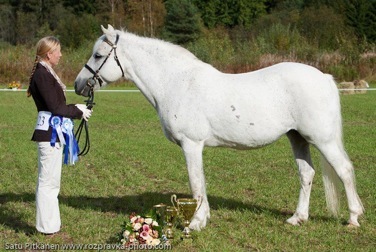 Was also crowned as the Champion Connemara at the show with reserve Champion being awarded to “Kahean Snow Blossom”. Unfortunately there are no other results available for the Melbourne Royal. Tanunda South Australia saw a small but quality field of Connemara ponies on display. Champion led pony was awarded to Glenormiston Rosanna and the reserve ribbon was placed on Innisfree Beaujolais. Led Purebred Gelding ribbon went to Glenormiston Connaught and the supreme champion Barogue led award went to Glenormiston Rosanna. A strong field of Connemaras ponies went into the ridden arena. 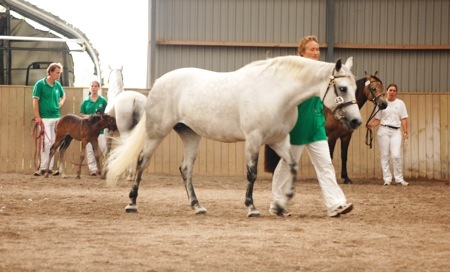 Innisfree Beaujolais collected the ridden purebred Mare or stallion class. Ridden pure bred over height was awarded to Glenormiston Connaught. Pleasure Connemara pony award was placed with Glenormiston Connaught. Ridden hunter Galloway award went to Innisfree Beaujolais. 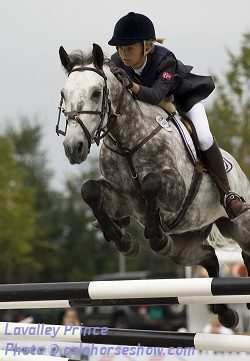 This pony also was awarded the Working Hunter Galloway class. Waikato Show was held in October 2012. Supreme Champion Connemara of the show went to Keltic O Se. Young stock foal/yearling was won by Glenormiston Rionach. 2 – 3yr old pony ribbon was placed on Glenormiston Rahanishka and this colt also was awarded the Champion young stock award at the show. The Mare 4yrs and over award went to Mungala Tuar Ceatha. Canterbury A&P Show in November 2012 also was well attended by the Connemara ponies of the area, and, from the awards list, the Connemara again displayed its quality and abilities. 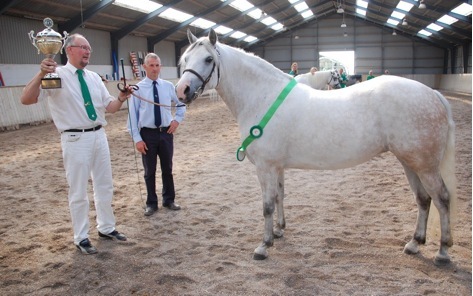 Supreme Champion Connemara went to Tallyho Neptune, purebred youngstock award went to Windward Mickey; Purebred adult award was place with Tallyho Neptune. Partbred youngstock award went to Glardon La Strofian, Partbred adult ribbon was placed with Windward Hemi and the Champion purebred award went to Rednalhgih Hayman. It is hoped that quite soon, the ICCPS website will be upgraded and a regular review of Connemara Pony sows etc. world wide will then be able to appear on a regular basis. To do this of course those responsible for the continual reports of the Connemara pony world wide will need your full support. Someone from each Sister groups who will collate results will need to be allocated, then ensure results are sent to the promotions officer and then onto the web master for inclusion. 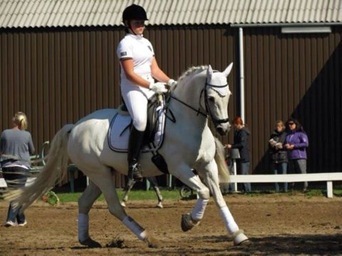 A whole new system will hopefully come into place and we will be able to let ALL members throughout the ICCPS , the Mother Society and all those who are not Connemara orientated but, who read out website, will know know just how strong our Connemara pony is , especially in the performance fields world wide. The new moves have my whole hearted support and I trust that I will still be able to bring the Connemara performances to you where ever you are! 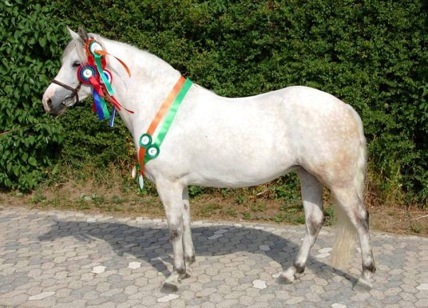 Riding competitions – Quality judgment – Study of pedigree and studbooks – Region election, this often with a talk about Connemara ponies. It could be about judgment, breeding, feeding or something else. 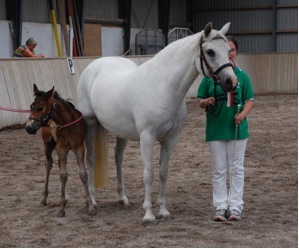 Both on Bornholm, Jutland and Zealand there are several agriculture shows, were Connemara ponies can participate as well as there are shows for youngsters of all breed. Kaas was on the winning team. The pair has been very successful having won two classes at national level this year. 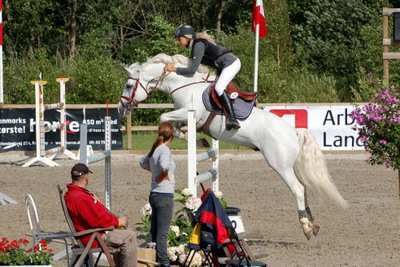 The Nordic-Baltic Championship in showjumping was held in Denmark in June. The connemaras were very successful taking the individual gold and silver medals! The winner was Lavalley Prince (by Coosheen Callowfeenish Cashel out of Doe Dolly) ridden by Tine Høgsaas Dalen from Norway. Silver went to Some Man for One Man (by Ashfield Bobby Sparrow out of Misty Maiden) ridden by Alma Björklund from Sweden. Both ponies are bred in Ireland.